If recent statements from Washington are indicative of the current US position on Cuba, then relations between the two countries are doomed to further failures—and perhaps to a renewal of the West’s exploitation of the island. 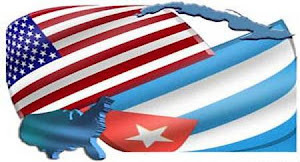 On April 29, the AP reported that Representative Kevin Brady (Rep.) of Texas took a hard-line, though not surprising, position on the US embargo against Cuba. In order for the US to lift the embargo, Brady demanded that any post-Castro government would be required to pay the US six-billion dollars in compensation—since six billion is the estimated loss of foreign investments that the US incurred, as a result of foreign property and businesses having been expropriated by Fidel Castro, after the success of the Cuban Revolution in 1959. Brady staked this claim while speaking at a recent congressional hearing on US trade with Cuba. He argued that “We must resolve the over six billion dollars in expropriation claims… before developing a more robust economic relationship with a post-Castro democratic government in Cuba”. Indeed, given Cuba’s already faltering economy—that any (hypothetical) new government on the island will have to inherit—such a debt as Brady wishes impose will only further cripple an already handicapped Cuba unfairly. A “blank slate”, instead, should be extended to a new and democratic Cuba. [T]he West wanted to protect its economic stake in the Third World after 1945. That it intended to do so was abundantly clear from its foreign-aid strategies. These were designed mainly to develop infrastructures such as transportation and communication links, vocational and technical schools, hospitals and clinics, or hydroelectric and irrigation projects. Such public investments were needed to create an economic environment in which private enterprise might thrive. Indeed, “private enterprise” in the Third World has always meant “foreign” enterprises in the form of Western businesses, which parasitically exploit the labor and resources of the already-vulnerable, post-colonial “Third World”, leaving the “host” country powerless to counter the continued Western dominance. Third World debt has always played a large role in these scenarios, since the West’s answer to Third World development has always been the transparently-exploitative push to simply privatize more of the “host” country’s economy, via structural adjustment loans from the US-dominated World Bank. And this seems to be what Washington has in mind by placing a six-billion dollar debt on any future, post-Castro government in Cuba. If Washington can impose this massive debt on a future Cuban government, the World Bank can then step in and lay yet another structural adjustment loan onto the Third World, which will—again—benifit only Western business. Only in this case, the exploited country will be Cuba. In other words, [aid is] granted on the condition that it be spent on (or tied to) goods and services purchased in the donor country. Foreign aid thus amounted to an indirect subsidy to Western businesses and labour. Indeed, if this reading of Washington’s consensus on Cuba is correct—and if the US has its way—the Cuban people will only (and tragically) go from living under a non-democratic communist regime to a non-democratic neo-colonial republic, just like they had lived under before the events of 1959.